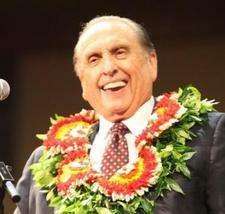 Elder Jose L. Alonso holds degrees as a homeopathic physician and surgeon, as well as in pediatric development. Throughout his career, he has worked with the San Francisco Medical Clinic and also the Red Cross Emergency Unit, a first-responder group that treats patients outside of hospital settings. As a physician, Alonso learned that there are limits to a physician's care. "It is God," he said, "that knows how to cure."